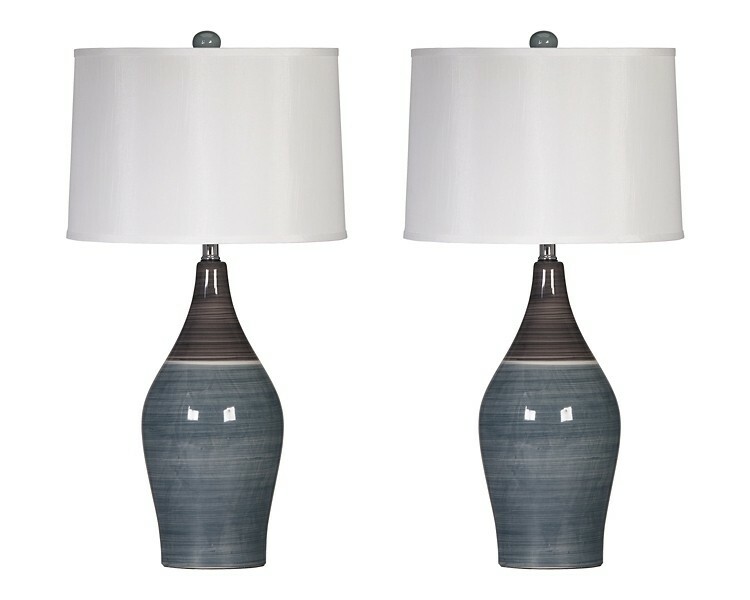 Fade in the shade. 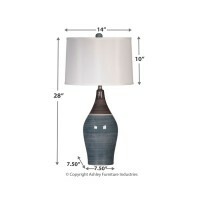 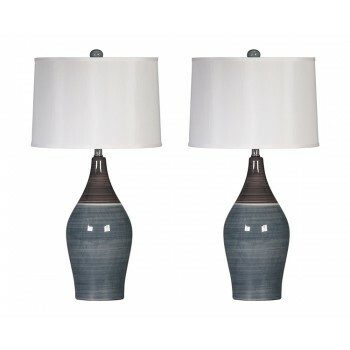 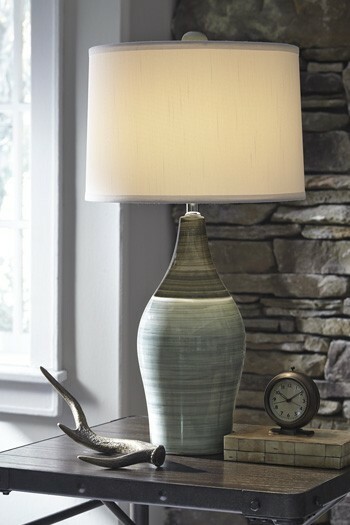 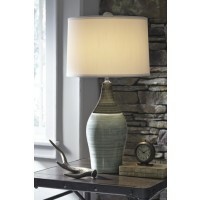 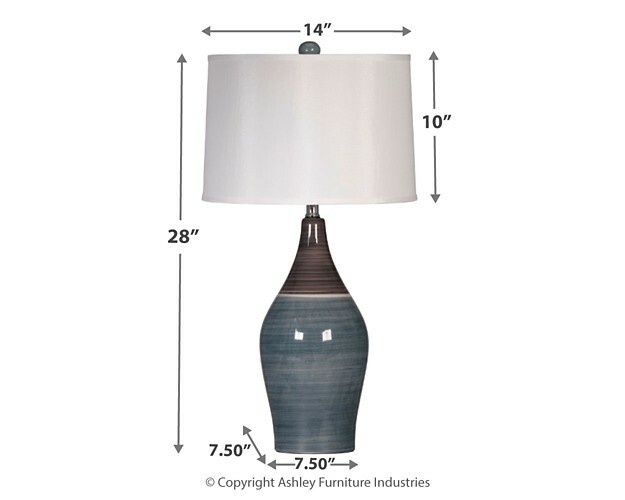 Various shades of rich, earthy color round out this chic ceramic table lamp in style. 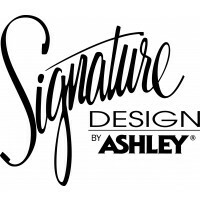 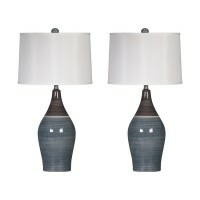 Flank a clean-lined sofa or sectional with this posh pair for a cool, contemporary look.